Mike Madden Touch of Color - Professional Painter servicing Central Ohio. Quality is top focus from preparation to finish. Columbus and surrounding neighborhoods, also from Delaware to Dayton and all points in between. Interior and exterior residential and small business painting. Numerous decorative painting techniques, and fine finish spraying of woodwork and cabinets. I started my paint business in 1990. My hands are involved in every job, so I am the same guy you are going to see every day from start to finish. Nearly 100% of my jobs come from repeat customers and their referrals. Quality is top focus from preparation to finish. I pride myself in having a strong work ethic and am a very conscientious painter. 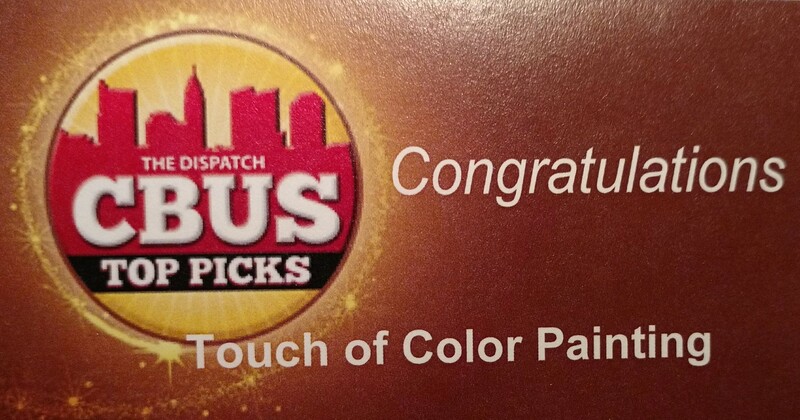 This year I was selected by the Columbus Dispatch readers as one of the “CBUS Top Picks" as a paint contractor, in the Dispatch reading area.